Five years ago, Texas Children's Hospital in Houston faced a conundrum. The health records of thousands of young patients who were showing up in its three hospitals' ERs with asthma attacks and other emergencies weren't readily at hand for the attending physicians. They were housed not just in the 50-plus primary-care pediatric practices and seven urgent-care centers that were in its network, but in pediatric practices all over the city. The long-term goal was larger than having better records and improving care in the emergency room. They wanted a system that would allow its clinicians and outreach workers to identify children at risk of winding up in the ER—because they weren't taking their medications, for instance. “As more value-based reform programs were emerging in Texas, this was all part of the solution for better managing populations of children,” said Dr. Charles Macias, director of the Center for Clinical Effectiveness and the Evidence-Based Outcomes Center at Texas Children's Hospital. Children's hospitals are facing a slew of difficulties in transitioning to a world that puts a premium on delivering higher-value care at lower cost. Their young patients show up with their medical histories scattered across numerous clinics and hospitals. Sometimes they are locked within proprietary electronic health record systems or shielded by patient privacy laws. Meanwhile, large payers such as Medicaid, which now covers about half the children born each year in the U.S., are pushing children's hospitals to show better outcomes and take on more risk. With most Medicaid programs now in the hands of managed-care organizations run by private insurers, high-cost children's hospitals are at risk of being thrown out of narrowing networks if they fail to show better outcomes. “It's a strategic imperative for children's hospitals to change the framework for which they are evaluated,” said Raphe Schwartz, a director with the Chartis Group, a consulting firm based in Chicago. Children's hospitals need to demonstrate they can deliver better outcomes over an extended period of time for large groups of patients—fewer readmissions, shorter lengths of stay, superior clinical results—rather than risk being evaluated on their higher costs for a single claim. But before a children's hospital can demonstrate superior clinical outcomes, it needs to integrate electronic systems and make sense of the collected data. Despite the inherent challenges, some children's hospitals such as Texas Children's are starting to make headway. They are using data analytics to measure key processes, improve clinical outcomes and lower cost, not only within the hospital, but after patients leave the premises. 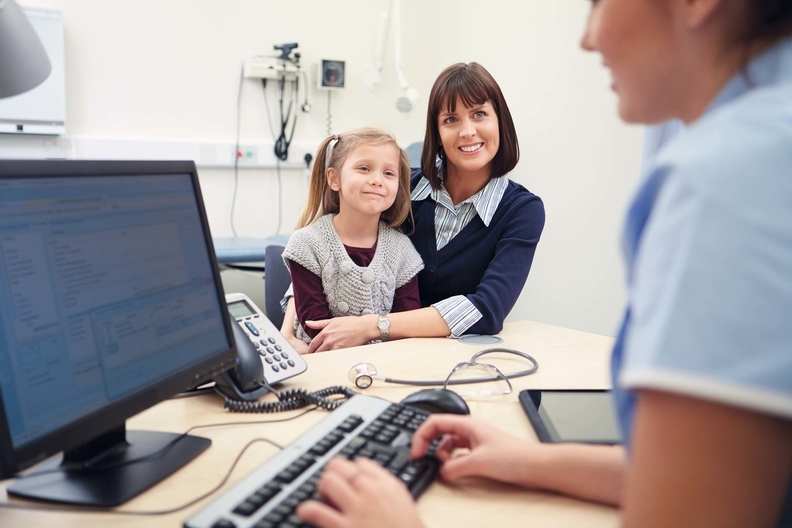 Hospitals treating childhood emergencies need instant access to records. By building data warehouses to centralize that information, they've discovered a new tool for preventing emergencies in the first place. Texas Children's started the warehouse initiative by looking for areas of variability where clinicians were practicing medicine in different ways. Medical routines often become entrenched, even though they have never undergone rigorous analysis. This is especially true in pediatrics, which tends to have fewer widely agreed-upon measurements and clinical pathways. Working with Health Catalyst, teams of clinicians and data scientists at Texas Children's began to identify key measurements for successfully treating acute asthma. They later moved on to about a dozen maladies, including diabetes, bronchiolitis, pneumonia and even processes that cross diseases, such as septic shock. This required mining EHRs and other repositories of information and defining key variables. Both tasks are inherently challenging. Information is not always stored in the same place on the EHR and measurements need to be nuanced to capture what variations in care lead to better or worse outcomes. The analysis enabled team leaders to identify where variation from best practices led to poor outcomes. They trained staff to adopt those best practices as standard operating procedure. The data warehouse also enabled predictive analytics: They began identifying patients who could benefit from more-targeted interventions. “Preventing something bad from happening—that's the opportunity,” Macias said. Asthma, one of the most common chronic childhood conditions, is widespread in eastern Houston. The city houses two of the largest petrochemical refining facilities in the nation. Texas Children's receives about 70,000 visits annually due to acute asthma attacks. Before adopting its new care model, Texas Children's booked an average loss of $2,770 on inpatient asthma visits. The hospital suspected there was tremendous variability in how its patients were treated. It tackled the problem by creating an asthma-care process team that included doctors, nurses and data professionals. With asthma, unlike many childhood diseases, there are many well-established clinical guidelines and measurements. The team began by identifying best practices in asthma care and studying the experiences of their inpatient asthma population. The team collected data to see if clinicians were using the recommended order sets and diagnostic tools. They found clinical guidelines were often ignored. The team is currently working to improve adherence of order sets in outpatient settings. It is also looking for interventions that can address the social conditions that trigger many childhood diseases. For instance, it is working with Houston's Department of Health to rid apartments of asthma triggers such as cockroaches and to develop strategies to help children during high-pollution days. Texas Children's Hospital's diabetes-care process team followed a similar trajectory. Roughly 60% of its patients have Type 1 diabetes, 30% have Type 2 and the remaining patients have diabetes derived from other diseases such as cystic fibrosis. “Our team identified hundreds of interventions that could affect length of stay and readmission rates,” said Dr. Rona Sonabend, a pediatric endocrinologist and medical director of Texas Children's clinical systems integration process improvement group. The diabetic-care process team ultimately used the data to support creating a six-bed inpatient diabetic unit with specially trained nurses. Now the diabetes-care process team is focused on outpatient care. All diabetic patients who have had an inpatient stay or an appointment within the system are tracked through an electronic registry built to ensure they receive preventive care. That can include cholesterol tests (diabetics have a higher chance of cardiovascular disease), eye exams (diabetics are at increased risk of retinal hemorrhaging leading to blindness) and depression screening (which is linked with many chronic diseases). Children suffering from chronic diseases often perform poorly in school, said Lydia Valadez McStay, director of government relations and community benefit at Texas Children's. Understanding the factors that cause absenteeism or poor performance in school is critical. In some causes, the roots of the problem are easily fixed. Each school in Houston had its own form for instructing school nurses about the timing and dosing of medications for students. Texas Children's and the city's Department of Education created a single form that could be used in all public schools, eliminating unnecessary complications and increasing the likelihood that kids will take their medication during school hours.